The new Sketch collection designed by Bo Reudler introduces playfulness though rational and uniform tubular steel outdoor furniture. The series consists of a chair, chair with armrests, stool, lamp and a series of tables. Each piece looks as tough it was spontaneously sketched on the spot but remains its functionality and comfort. 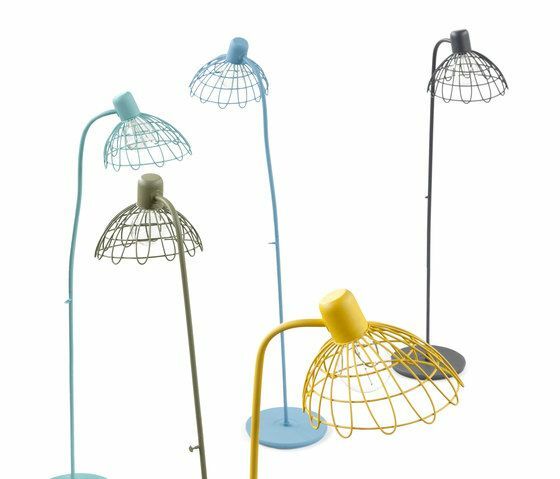 The Sketch collection will light up any outdoor space with its vibrant colours and fun vibe. Hand crafted from steel and finished in a 4- layer protective coating, this collection is built to last.